Halloween should always be schweet! 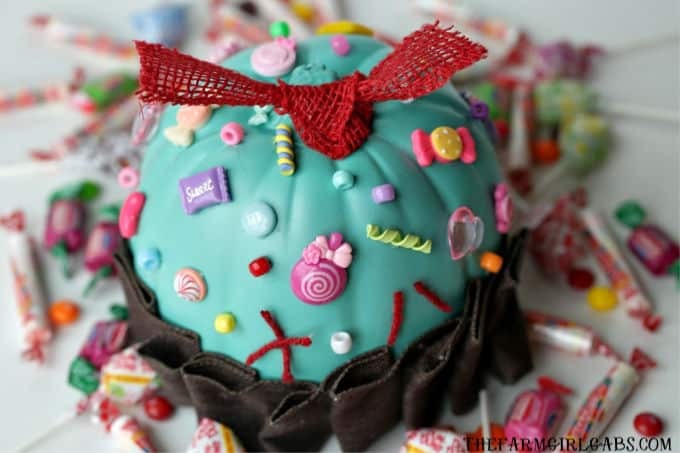 Get a real Sugar Rush with this easy Vanellope von Schweetz Pumpkin. It’s a real sugar rush around here. Halloween is just around the corner and I am back with another schweet (see what I did there?) 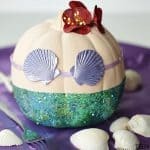 Disney-inspired pumpkin. 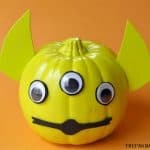 If you haven’t been following along, I have a whole bunch of Disney Inspired Pumpkin Ideas that you can recreate yourself. 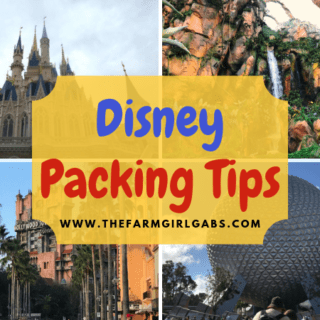 I am a HUGE Disney fan (does that surprise you?) and over the past few years, I have been recreating some of my favorite characters. Well, my favorite candy girl, Vanellope von Schweetz is getting her own pumpkin. Halloween is one big Sugar Rush so it is only appropriate. Plus, the premiere of Ralph Breaks The Internet is also around the corner on November 21, 2018. 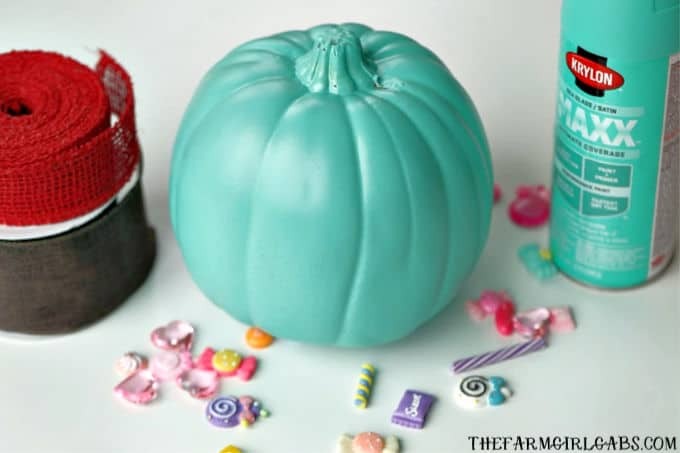 If you are a Vanellope fan like I am, be sure to check out my Vanellope Von Schweetz Sweet Shop Slime tutorial too. Glue the wide brown ribbon in folds to the bottom half of the pumpkin. Folding it to make it look like Vanellope’s skirt. Cut a few strips of red ribbon and glue into a criss-cross shape and also two lines to represent her sweatshirt. Then glue the candy shapes and pony beads on. Lastly, tie a piece of red ribbon on a knot. Glue to the top of a pumpkin. It’s a real Sugar Rush. Just in time for Halloween! 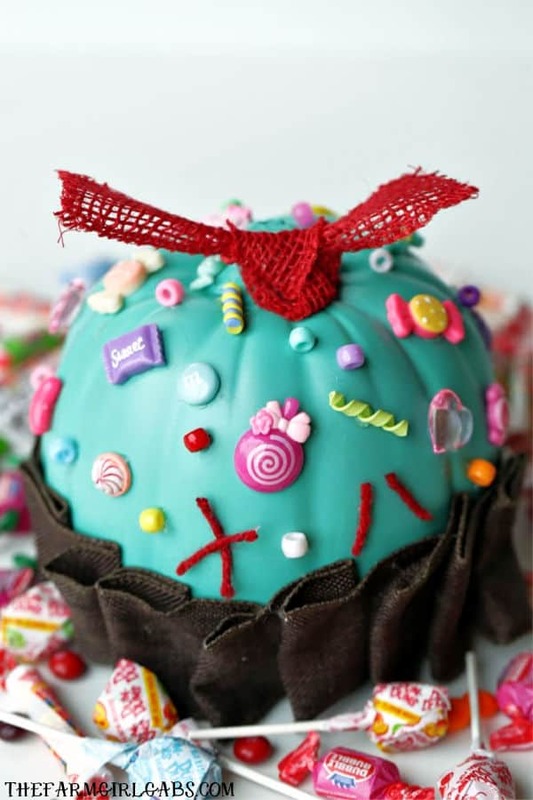 Save this fun Vanellope von Schweetz Pumpkin project. Pin the image below to your favorite Pinterest board.